Jewett-Cameron 3-Rail Double Adjust-A-Gate Kit w/ Drop Rod, 60"H x 36-72" Each, Black | Hoover Fence Co.
60" High Steel Adjust-A-Gate Kits are ideal for 5', 6' and higher wood gates, allowing pickets to rest near flush top and bottom rails, or with a slight overlap. Steel gate frame is approximately 5' high. 'Round up' if your gate width is close to width shown. Gates below feature black gate frames and different hardware than gate kits above. Model DAG-36-3S features heavy duty decorative male hinges, a 1-1/4" square gate frame, additional support brackets, and a two-sided latch which may be opened from either side. Please note that these kits are ideal for both wood and composite gates. Some fasteners may need purchased, or substituted depending your gate design. Each Gate Adjusts for 36"-72" Wide Opening. Builds an Almost 12' Wide Opening Double Gate! 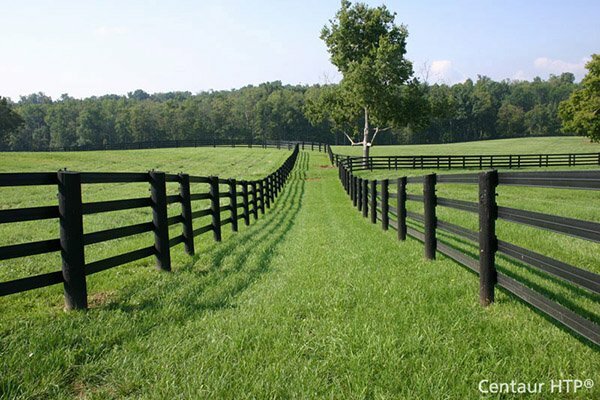 Ideal for Wood and Composite Fencing!